Over the last year I have become obsessed with fine steaks. 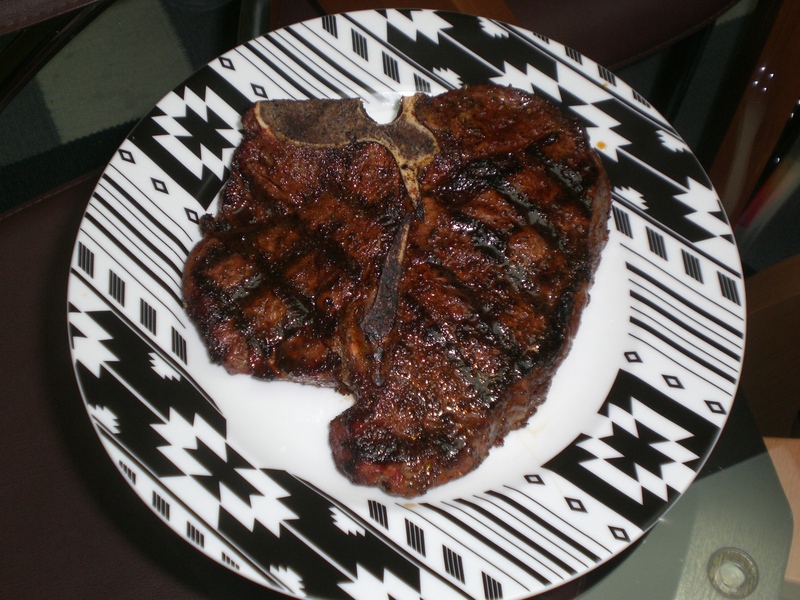 I have done a lot of experimenting with different cuts of steak, different methods of preparation, and different grocery markets for purchasing the steaks. I have purchased steaks from Fresh Market, Wegmans, and Whole Foods. So far, my store of choice for steaks is Fresh Market. Not only does the Fresh Market offer a wide array of different ‘fine’ steaks, they also offer the steaks at less expensive prices than the two alternative stores. When you walk up to the meat counter at Fresh Market, you are almost guaranteed to find New York Strip, Filet Mignon, Ribeye, Flank Steak, Skirt Steak, Porterhouse and different cuts of Sirloin. At times, Fresh Market may offer “Filet Mignon Tail” (the cone shaped leftover piece from when the butcher cuts the tenderloin into individual steaks), and the “Bone-in Ribeye”. All the steaks at Fresh Market are at least USDA ‘Choice’, the second highest grade of meat. On a final note, all steaks at Fresh Market are hand cut; however, they never offer any kind of ‘kobe’ steak product, whereas Wegman’s does. I am still at odds as to which seasoning method I prefer for steak. While I always add exuberant amounts of course sea salt and black pepper to any steak I prepare, I sometimes also use a steak rub (my rendition of Bobby Flay’s steak rub). If I plan to pan sear and then broil the steak, I only use salt and pepper (searing with good olive oil). If I grill the steak I may just salt and pepper the steak, or I may use the steak rub. Sometimes when I use the steak rub, it can over-power the flavor of the steak, so you do have to attentively apply. Additionally, I have found it very important to not over-do the rub, as it can make the steak greasier because of the oil being released by the various spices in the rub. Furthermore, the rub is best paired with an intensely ‘beef’ flavored steak, such as the Ribeye, Skirt, Flank, and Sirloin. 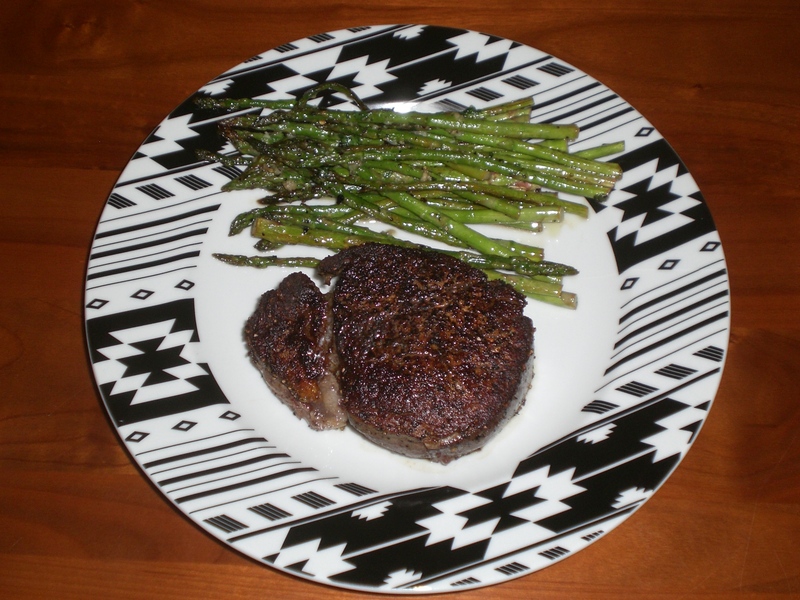 Salt and pepper is the ideal compliment for more subtle steaks such as the Filet Mignon and New York Strip. 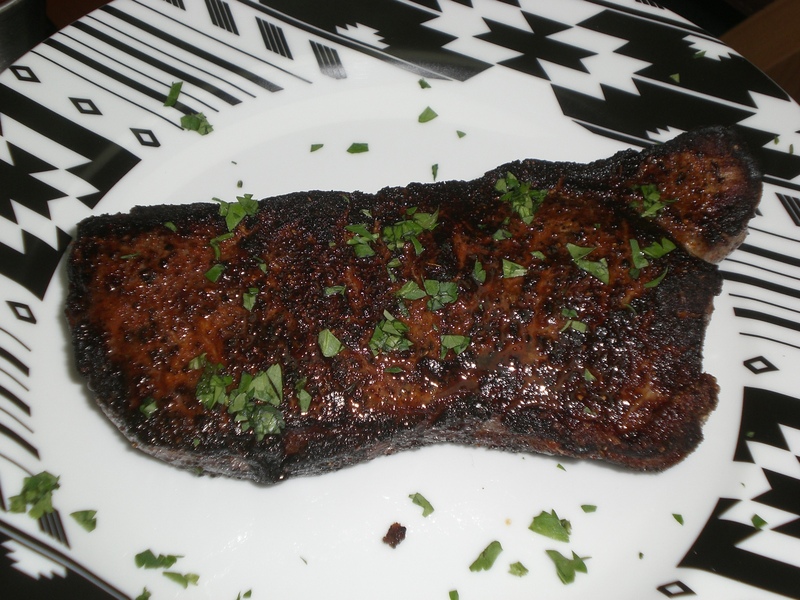 The NY Strip can actually be prepared either way; it really just comes down to personal preference. On a side note, a good steak will never need a steak sauce. The only addition I occasionally add to a steak is a parsley based chimichurri sauce, which I make myself. Otherwise, forget the A1 or any other similar sauce. 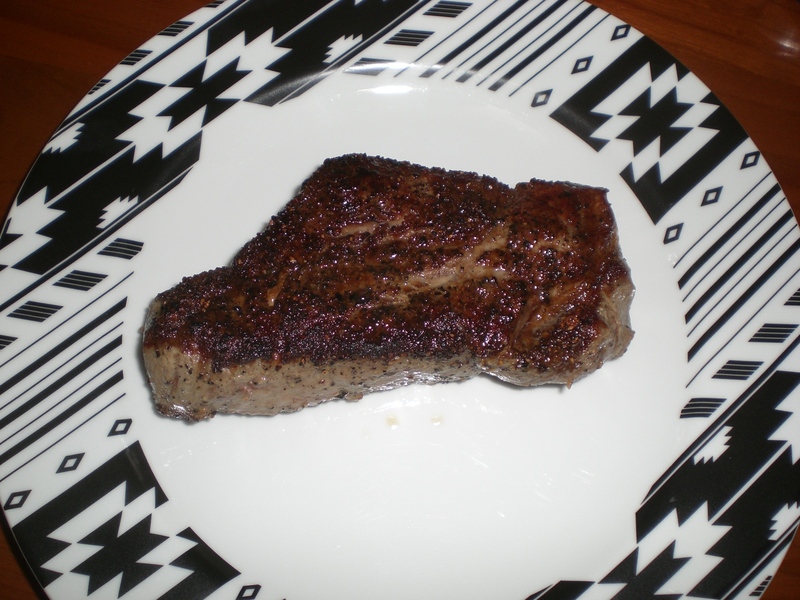 Above are some pictures of steaks I have cooked. Enjoy!